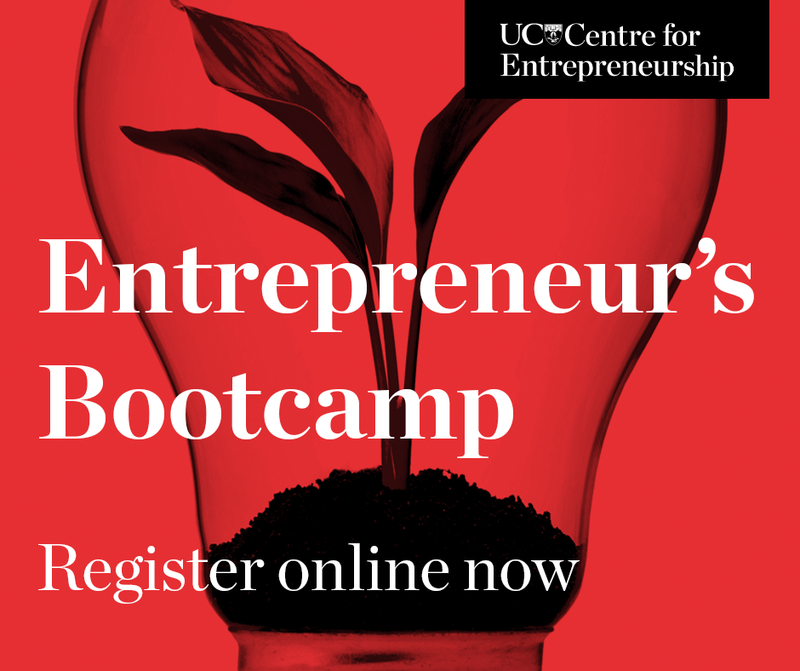 This year, for the very first time, the UC Centre for Entrepreneurship will be running a bootcamp over the coming winter break. The bootcamp is an intense two and a half day event with the sole purpose of helping students develop their entrepreneurial capabilities. then the inaugural UCE bootcamp is for you. The bootcamp will kick off on the afternoon of Tuesday 28 June and run through to the afternoon of Thursday 30 June. For more information about what’s in store for our participants, head to the bootcamp webpage. We will be updating the programme as we confirm more great speakers and benefits for you, so make sure you check back regularly. If you are ready to dive in and make real progress with your entrepreneurial journey in just two and a half days, then register now by filling out this online form.